You are here: Home / Blog Entries / Do Paramedic Schools Offer Financial Aid? Being able to afford tuition cost for paramedic school can sometimes feel overwhelming, leaving many students to wonder if financial aid is a realistic option for them. Fortunately, paramedic schools do offer students various forms of financial assistance. Here’s how it works. First, if a school is accredited, there’s a chance it partakes in the Federal Direct Loan Program. Federal financial aid is incredibly important, because it allows a prospective paramedic student to select the school that best suits him or her, rather than the student feeling forced to settle on a school or program solely because it fits within their budget. Scholarships: A scholarship is an award of financial aid selectively given to students to further and fund their education. You’re probably most familiar with merit-based scholarships, but need-based scholarships can require students to fill out financial aid applications like FAFSA. Grants: There are federal grants and state grants. A federal grant, for example, is awarded based on financial need by the information applicants place onto a FAFSA form. Grants do not need to be repaid. Loans: Unlike a grant, a loan does need to be repaid. If a school is accredited, there’s a chance that it participates in the Federal Direct Loan Program. Federal Work-Study: A federal work-study program is a federally funded program in America that allows students to work part-time in exchange for a paycheck that they can then use to help fund their higher education. A student would apply for financial aid by filling out an application that’s available at www.fafsa.ed.gov. The application is commonly referred to as the Free Application for Federal Student Aid (better known as FAFSA). Paramedic students may also be able to acquire private loans to help fund their education, as well. Again, it’s always a smart idea to speak with an official working in the school’s financial aid office to help sort out any questions or concerns you may have regarding the process. How Much Money Do EMTs Make in Nebraska? 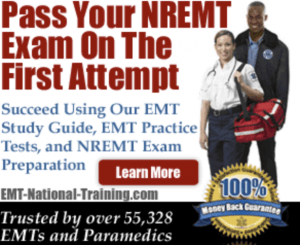 What is the Job Description of an EMT?